Simple and cute, these "Fancy J" earrings are perfect for the young at heart. 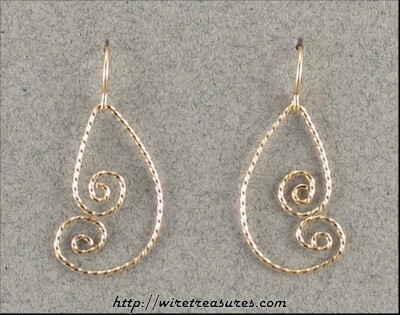 Twisted 14K Gold Filled wire. These earrings are about 1-1/8" long, not including the French wires. You are visitor number 3,211 to this page.